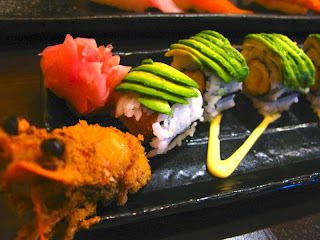 Weeee~ it's Thursday and I have a huge urge for Japanese food! 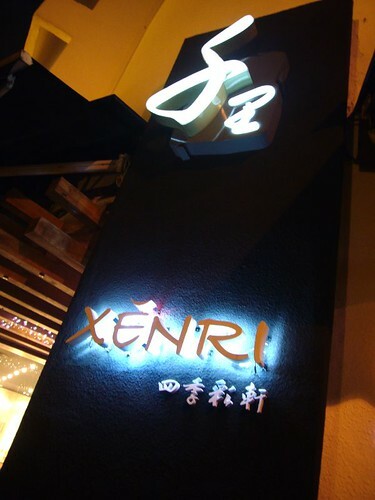 Since I didn't want to travel anywhere far like Bukit Bintang nor Damansara Utama, and I would like to have a nice Japanese meal, so I decided to pay a visit to Xenri since it's so DAMN near but I have no idea why I didn't go ever since it's open for so DAMN long. Okay, cut the crap. The food ain't that bad (tasted better than Zen & Rakuzen), though it's slightly a little pricey than Zen / Rakuzen, but the portion is bigger. So, still resonable lar... (for nice jappy food). Ambiance is great too! Freshness for food also not bad, since I read some reviews saying that they bring in fresh seafood every 2 weeks. Only thing I worry is there aren't much crowd due to it's location. Maybe it's weekdays... I don't know. 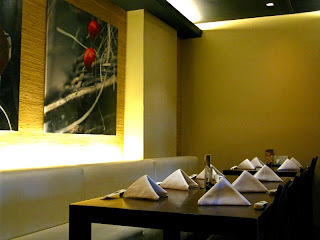 So, here are the photos I took and food I ordered just now. *they have another version that is mango instead of avacado, but I personally prefer this. 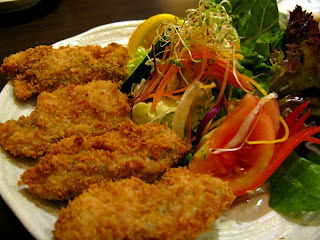 *my fav, fried breaded oyster. It goes well with mayonnaise too if you don't like the sauce they serve. very expensive! 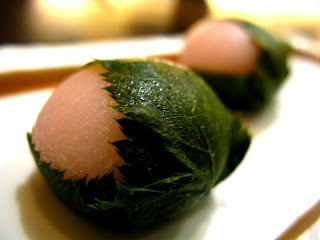 the rice flour skin texture is not perfect, not gooey, sticky and soft enough. now you know what I mean by "expensive"! Awesome restaurant. What is the exact address. I wanna bring my family there too. LoLXD. And Vicky as well, if I have the chance. 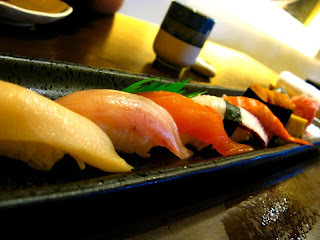 =) I love Japanese Food..
go search nice food again...~? 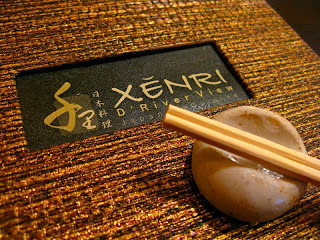 u try TENJi before ? J'son : yeap! the address is in my blog too. It is just along old Klang Road, right opposite "Pearl Point". 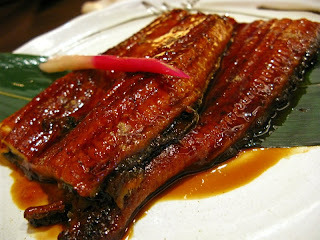 I've tried Tenji alrdy during the CNY, not favorable... food that we place the tag to order, waited for too long and food went cold. 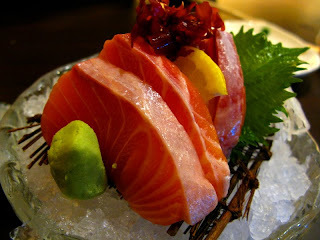 Taste wise ... so-so la.. moderate only. That's why I still prefer the normal Jap restaurant instead of buffet place. akakaka! Yeaps.. it's not really cheap. 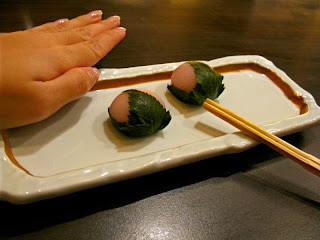 but actually is more or less the same price as the other Jap Restaurants since they serve a slight bigger portion. Boleh than la..
Oits?~ i thought it's Rm48+ per pax?